Long story short it has been my ability to learn how to focus that has served me most in my life. 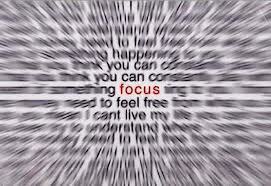 Luckily for us learning how to focus is attainable by anyone who is willing. All that is required is a commitment to following through with your decision to become better at focusing. From enhanced well-being and productivity, to sustained joy and peace, a consistent mindfulness practice brings balance to your life and business. In this video I lay the foundation on having better focus. Make sure you take notes! I hope you enjoyed the video as much as I enjoyed making it. I would like to add that until you start developing your ability to focus you will have a hard time getting anything done. It really does come down to you having the ability to say no to things that have nothing to do with what you are trying to accomplish.